During a fall tour of Ireland at the invitation of the Ireland Office of Foreign Affairs, NCRA Executive Director William S. “Smitty” Smith met with Ireland President Michael D. Higgins. 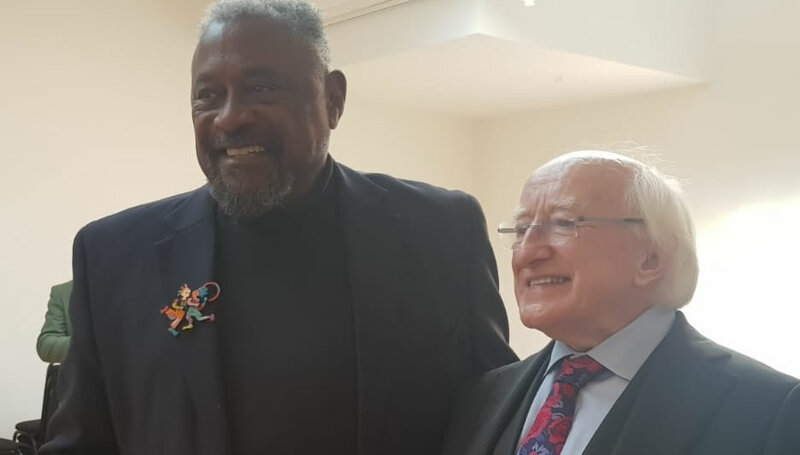 Smith used the opportunity to invite President Higgins to attend the 2019 National Race Amity Conference. The National Race Amity Conference will celebrate its ninth anniversary when it convenes November 21-23 at the Boston Marriott Quincy. The invitation was presented to President Higgins during a discussion with the President and his wife, Sabrina at a program in Dublin. 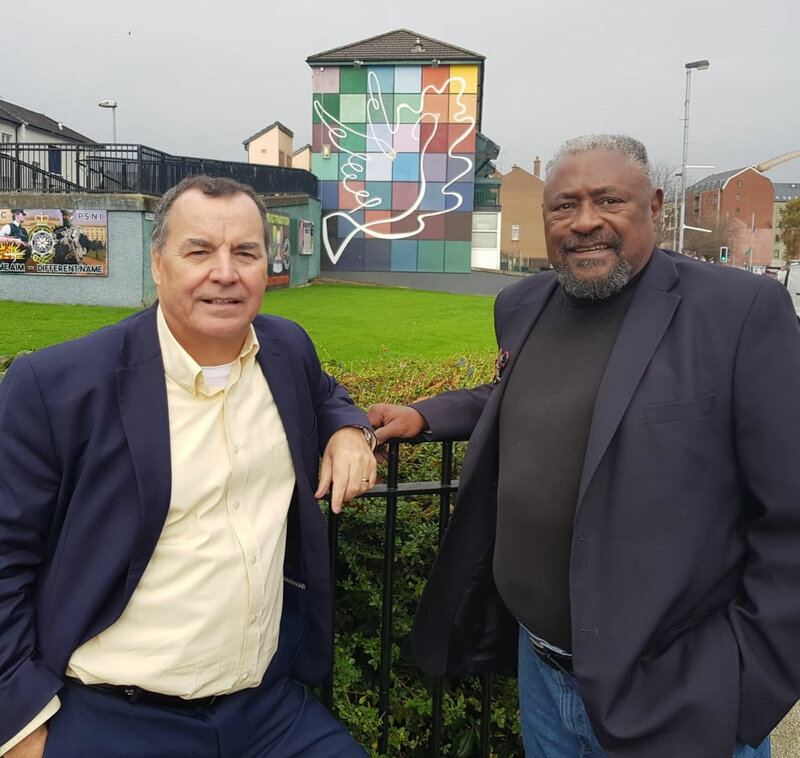 Accompanied by Don Mullan, noted author, humanitarian, and creator of the Frederick Douglass Ireland Project, Smith visited and spoke in all five Provinces of Ireland on the tour. During the visit Smith was given the honor of planting the Frederick Douglass Tree, a blue spruce from the Atlas Mountains in Africa at the Daniel O’Connell Ancestral Home and National Historic Site.